If you are looking for luxury accommodation in Vanderbijlpark on the banks of the Vaal River for your weekend getaway, then the Liquid Lounge has just the answer for you. Try something new this holiday – stay over in a luxury houseboat moored on the river banks! The Prive’ and Fluxman Houseboats are permanently moored at the Emerald Marina, offering its guests a truly unique and memorable stay. For more information and a quote on this luxury accommodation in Vanderbijlpark, contact us at Liquid Lounge today. We guarantee that you will not be disappointed in our beautiful houseboats. 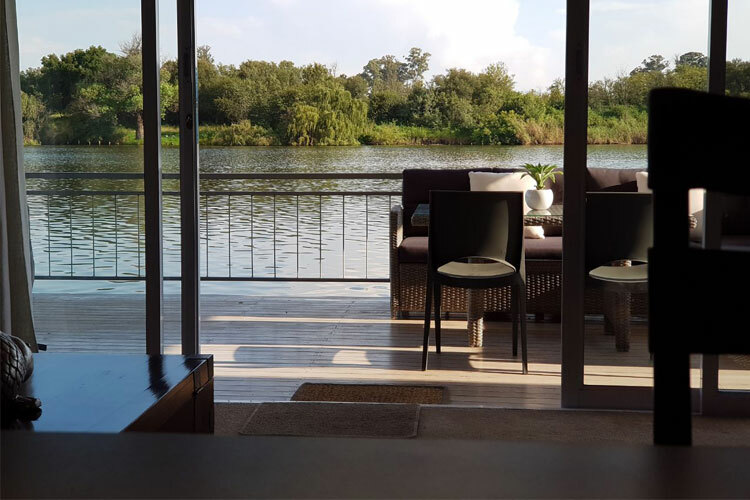 When it comes to Vaal River accommodation, nothing beats staying in a luxurious and modern houseboat, right on the river. 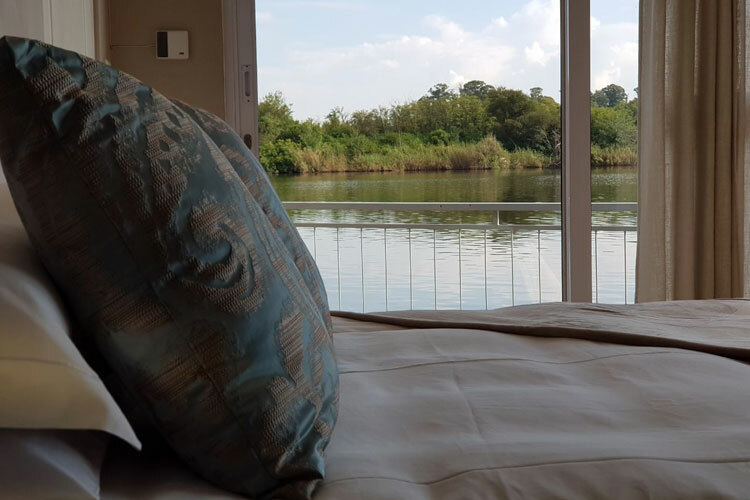 Wake up to the natural sounds of the water and the abundant birdlife, whilst enjoying your morning coffee over-looking the majestic Vaal River. Although these houseboats do not cruise, you will enjoy the best riverfront views, and the tranquillity of being on the water. 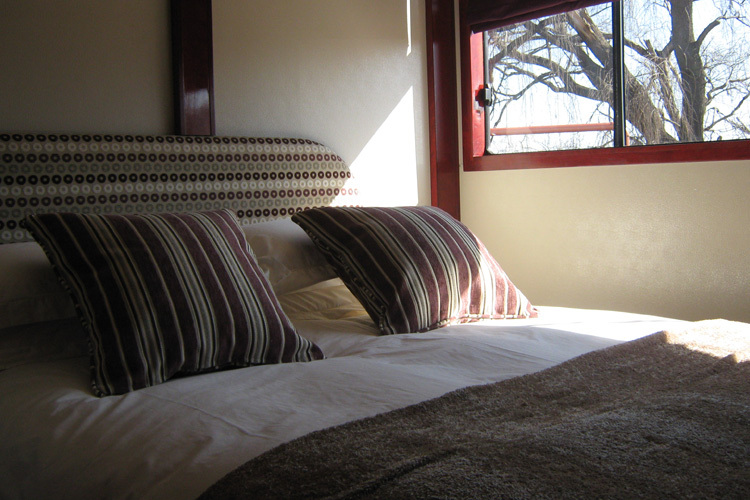 Our beautiful houseboats are modern and furnished with everything you will need during your stay. Our houseboats offer the ideal weekend getaway option for your family. Located in the Vaal Triangle, it is the ideal location for guests from across Gauteng and the Free State. 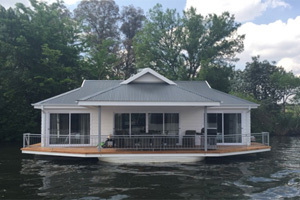 The Prive’ and Fluxman Houseboats are suitable for a family of four, each featuring two en-suite cabins. The open plan kitchen is fully equipped to prepare your own meals (self-catering), and the large deck features a braai area and a dining table. You can relax in front of the television with the full DSTV bouquet, or spend your day at the Emerald Resort & Casino enjoying numerous activities such as Miniature Golf, Aqua Dome, Ten Pin Bowling, Animal World and the Casino. There are also a number of restaurants to choose from, should you wish to dine out. Book your unique and relaxing Vaal River getaway – book your accommodation in Vanderbijlpark with Liquid Lounge today to avoid disappointment! Book your accommodation in Vanderbijlpark today! 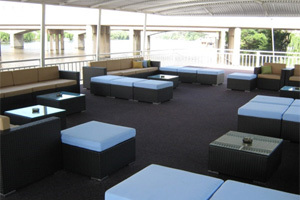 If you’re looking for accommodation in Vanderbijlpark or accommodation on the Vaal River, you won’t get any better than the luxurious and modern houseboats of Liquid Lounge. For more information about our houseboats and different accommodation options available, contact Liquid Lounge today. 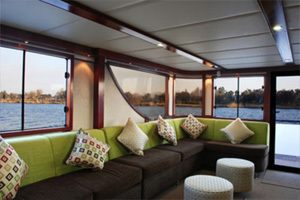 Enjoy a relaxing and memorable stay aboard this luxury accommodation facility on the Vaal River! 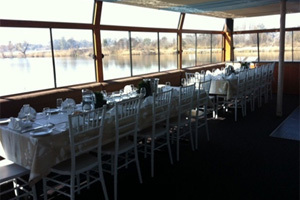 For larger groups, we have a houseboat that cruises down the Vaal River, featuring accommodation for 10 guests. Day cruises are also available should you not want to stay the night. Read more about Liquid Living, or contact us today for more information.